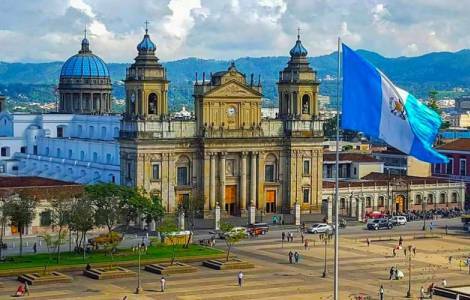 Guatemala City (Agenzia Fides) - Like other Latin American countries, Guatemala also celebrates National Independence Day tomorrow, September 15th. On this occasion the Episcopal Conference of the country (CEG) published a Message in the context of the "Month of Homeland". Inspired by the verse of the book of Proverbs (1.8) "Hear, my son, your father's instruction, and reject not your mother's teaching", the Bishops invite to reflect on how to respond responsibly to the teachings of what is inherited, that is "how to live our civil responsibilities before God, so that justice and peace can become the basis for living together as a people". Describing the real situation, in the message, sent to Fides, they write: "In these days we live moments of tension and confrontation due to two decisions of the Executive: the non-renewal of the residence permit at the International Commission against Impunity in Guatemala ( CICIG), and the ban on the re-entry regarding Ivan Velasquez, a member of the UN at the head of the CICIG". The two facts have divided not only public opinion, but the whole country, this is why the Bishops propose: "It is necessary that the way of confrontation is overcome with the promotion of a serious dialogue, in order to apply the law and exercise justice, as suggested by the National Prosecutor". "We ask everyone to avoid violence and to make blood flow", the Bishops write, underlining: "The loyalty underlined in the Scripture, means respect for law: nobody is superior to law, it is a clear principle that involves all". The Bishops conclude by inviting to also celebrate Our Lady of Sorrows on September 15th, whose liturgical feast is celebrated, asking for the strength to love Guatemala and to serve it in truth and justice, not seeking conflict to solve problems. The situation in Guatemala has also caused concern at an international level: "We express our regret for the sovereign decision of the government of Guatemala not to renew the mandate of Cicig", reads the note that, on behalf of the United Nations group called "G13", has been signed by Canada, France, Germany, Italy, Spain, Sweden, Switzerland and the European Union.